We all have hopes and dreams which we believe will help us live our best life. Sometimes it is easy to go off track and lose sight of what makes us happy. 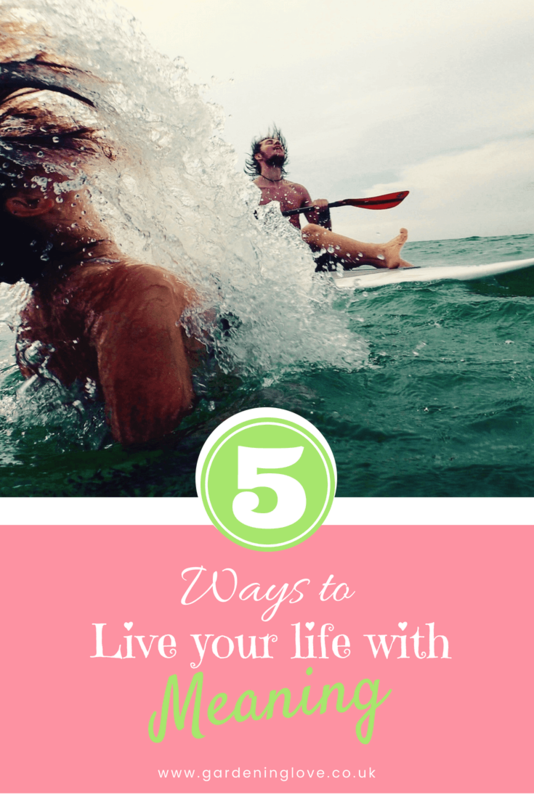 Here are 5 ideas to help steer you in the right direction towards living the best life possible for you. When was the last time you truly laughed ? I don’t mean a little giggle, I mean laughed, really,really laughed. Laughed until your belly hurts, when you can barely breathe. Those are the best kinds of laughs, when you can hardly stand up, your bent over holding your side ! Your jaw aches and no sound comes from your mouth anymore because the laughter has consumed you. You will probably find that you have certain people who are your laugh buddies. The ones who are on your wave length and you just get each other. I am lucky that I have both family and friends that I can laugh with. We are all just as crazy as each other and that helps ! Seek these people out, as a good belly laugh is one of life’s special moments that we all need from time to time. It blasts the cobwebs away and gives you a zest for life money just can’t buy. Look yourself in the eye more often. You spend time getting ready for the day. You check yourself in the mirror to see if your good to go. In the bathroom, you wash your hands and glance up at your reflection, again to check your hair, makeup etc. But when did you last truly look at yourself ? When did you last look yourself in the eye? We make eye contact with other people when we are in conversation. It is considered polite and respectful. We are showing the other person that they have our full attention and that we are completely engaged in their company. It is important to give yourself the same courtesy. Look yourself in the eye and be proud to be you. There is only one you in this world and that makes you kind of special. Affirm yourself, you deserve self respect. Look inside yourself for guidance towards living your best life. I am unique. I deserve my love and self respect. Step away from the phone. There is not getting away from it, we live in a modern world and with that comes technology. Its great, you have access to the world at your fingertips. There isn’t much you can’t do with todays gadgets. However, we have all been warned about the implications this will have on society. That our ability to connect with each other, to converse and communicate effectively will be severely harmed. So use your smart phone and tablets. No one is saying that you can’t enjoy these amazing inventions. Enjoy the latest box set. But have a cut off point. Know when to put them down. Don’t allow modern technology to interfere with your ability to be human. In our house the children have set times for playing on tablets, games etc. They never have them at mealtimes etc. At the dinner table we talk about our day. We encourage our boys to tell us what they have been up to, who they played with and what they learnt. We must lead by example and know when its time for us to switch off from our phones too. Make sure your children and loved ones see you engage in conversation. Read stories together, not through tablets but through the old way, of actually holding a book. Take time to talk to your partner about their day, how they are feeling. Stay human folks !! Don’t let the robots win. I absolutely love alone time and being in my own company, I always have and I always will. This can sometimes be misconstrued as being unsociable but I disagree. I know people who love to be around other people most of the time. They find it difficult to enjoy their own company and can easily feel lonely. It’s important to fill your time with what makes you happy and not succumb to the pressures of others. It is ok to say no when you don’t wish to join in with friends. Learing to enjoy your own company has huge benefits. It allows you to connect with yourself and your thoughts. To relax from the demands of others and take time for yourself. Your true friends and close loved ones will respect your decision to do things alone from time to time if you explain that enjoying your own company makes you happy and is important to you and your wellbeing. Time spent alone allows you to reflect on where you are in life. 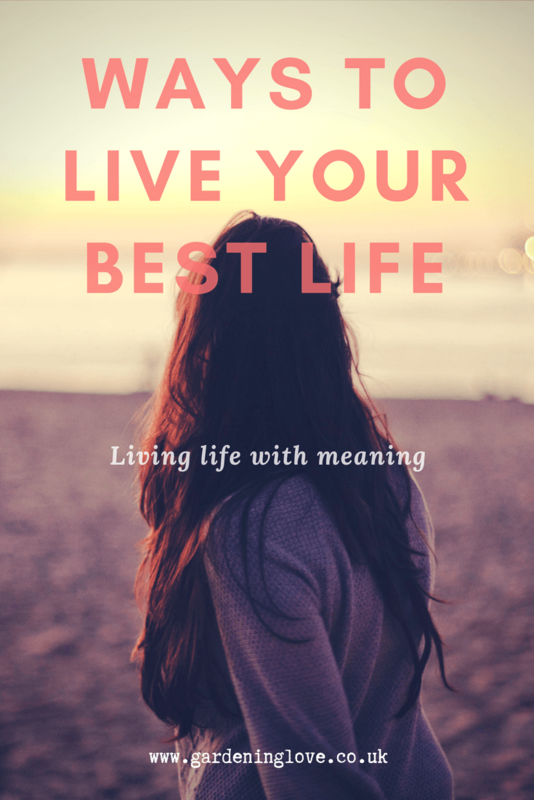 Are you living your best life? What changes can you make to help you on your quest for your best life? Check out this post full of ideas to have a successful year ahead, without putting pressure on yourself! Hobbies are a great way to unwind and take the time to do an activity you truly get pleasure from. It doesn’t have to be a hobby as such, anything really that you connect with which makes your heart sing. I really believe there is something out there for everyone, whether you’re a daredevil, thrill seeker or a chilled, relaxed dude. Finding an activity that suits you can help you leave work behind and any stresses and strains that are going on in your life. I might as well take this opportunity to promote gardening as a great way to relax. You can read all about why I think gardening is a great activity here. A pass time will help you take some ‘me time’ to unwind and concentrate on a happy experience. Its like putting your mind on a shelf for an hour or two and allowing yourself to immerse yourself in a passion that you enjoy. If you don’t have a particular hobby as such but would like to find an activity which helps you unwind then perhaps start by writing a list of what you enjoy doing. Think about what you want to gain from your pass time and go from there. There are tons of ideas over at Hobbylark to inspire you. I hope you find inspiration from this post. If you do please share it with others. How do you try to live your best life? 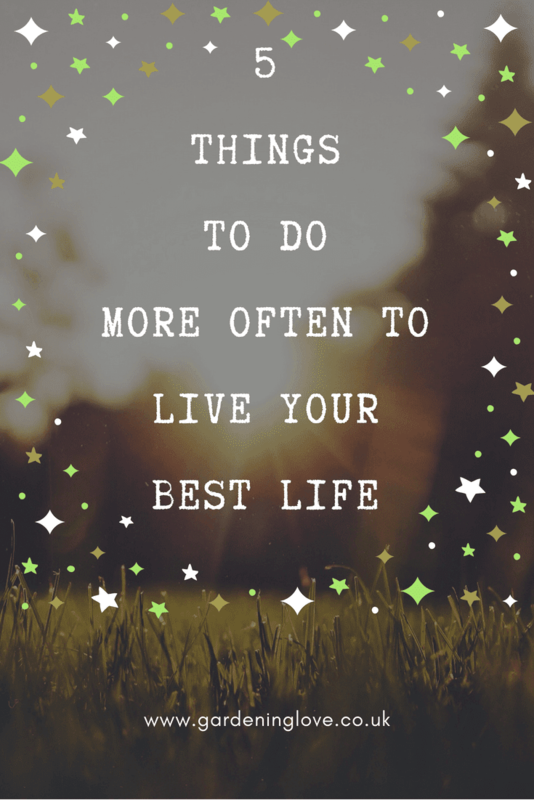 Do you feel as though you are living your best life ?
. Love my own company more and more these days though!! Amen to the alone time! I go crazy when I don’t get some at least once a week! The technology is a good reminder. I’m so bad about getting caught up and forgetting to put my technology down and just enjoy life around me! Such good tips!